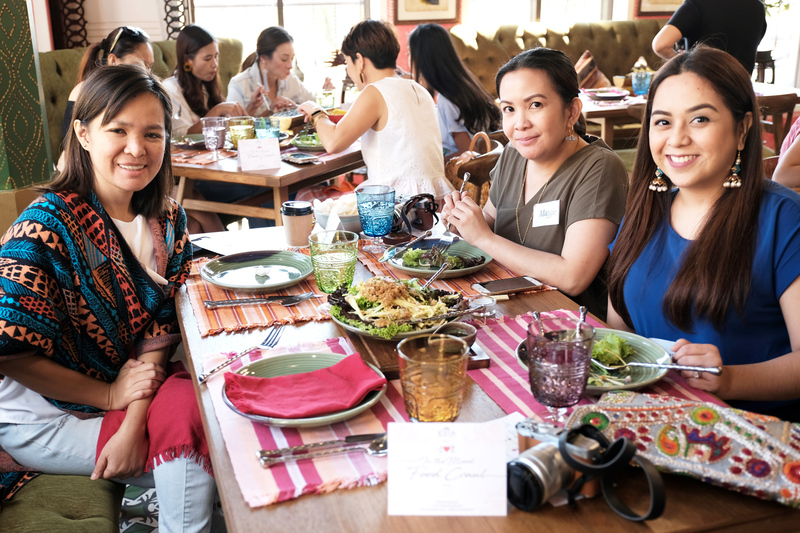 A week ago, Michelle and Sabrina of Mothers Who Brunch invited some mothers to a gastronomic tour of some of Evia Lifestyle Center‘s food establishments. 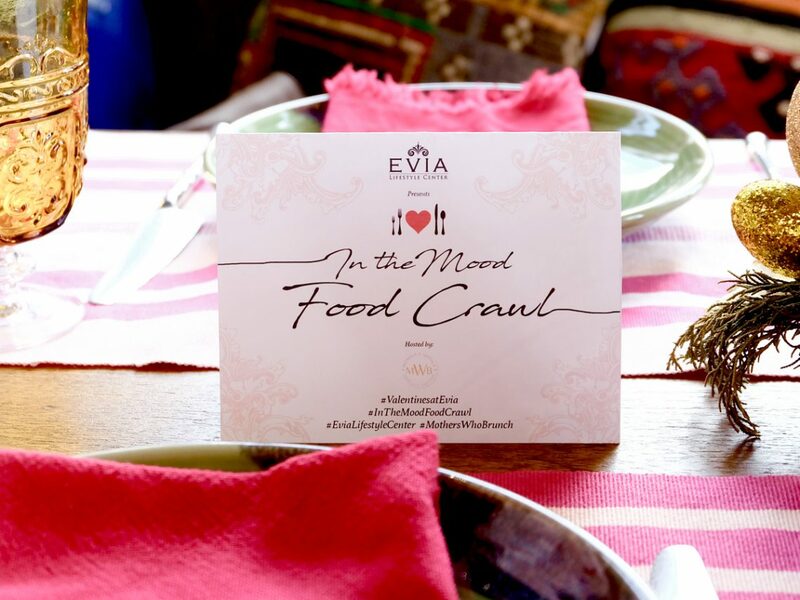 During In The Mood Food Crawl, we ate our way through seven restaurants, laughed and shared some stories along the way, and learned a few recipes that we could easily whip up for a romantic Valentine’s at home. Now I normally don’t head out of Makati during rush hour, let alone rush hour on a weekday (spell insane traffic, yo! ), but I couldn’t resist the temptation of a food crawl. Thankfully, driving from Makati to Daang Hari Road was surprisingly a breeze and took only 30 minutes via Skyway/SLEX and MCX. 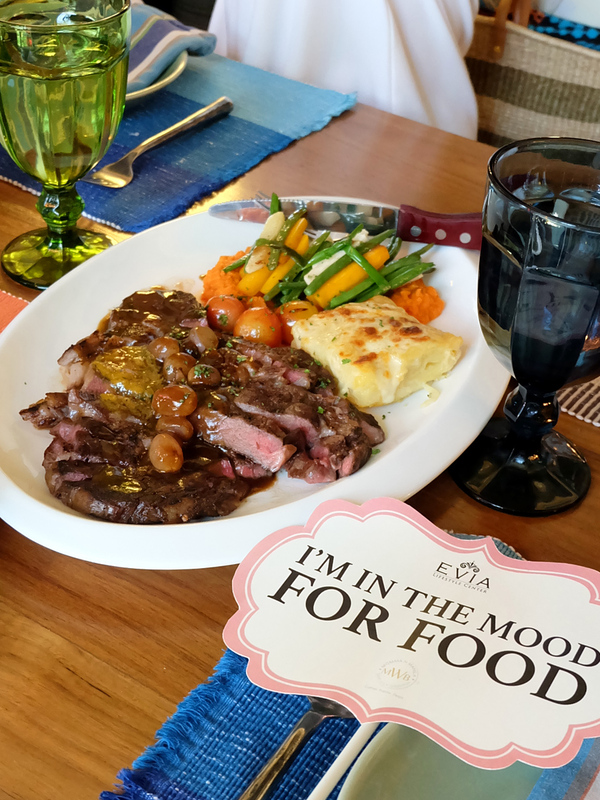 I arrived at Evia armed with an empty stomach, ready to try some of the enticing food and dining options waiting for us. 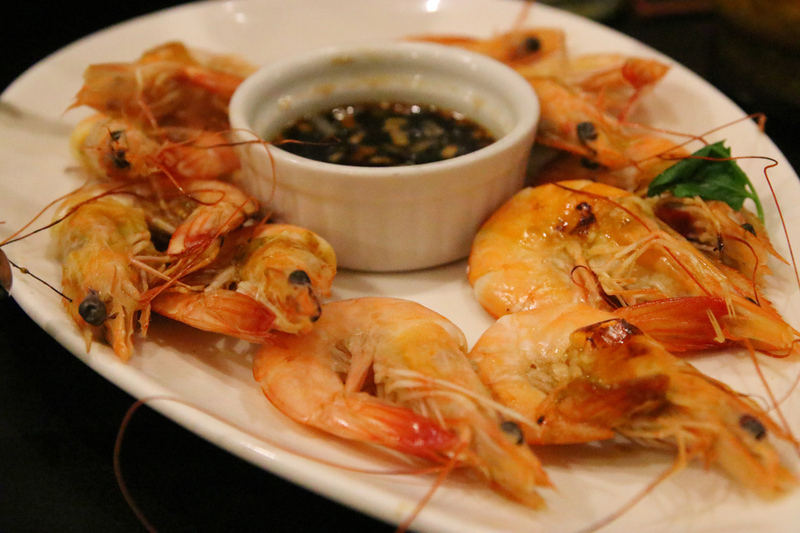 We started the food crawl with some Southeast Asian cuisine at Tiger Leaf. 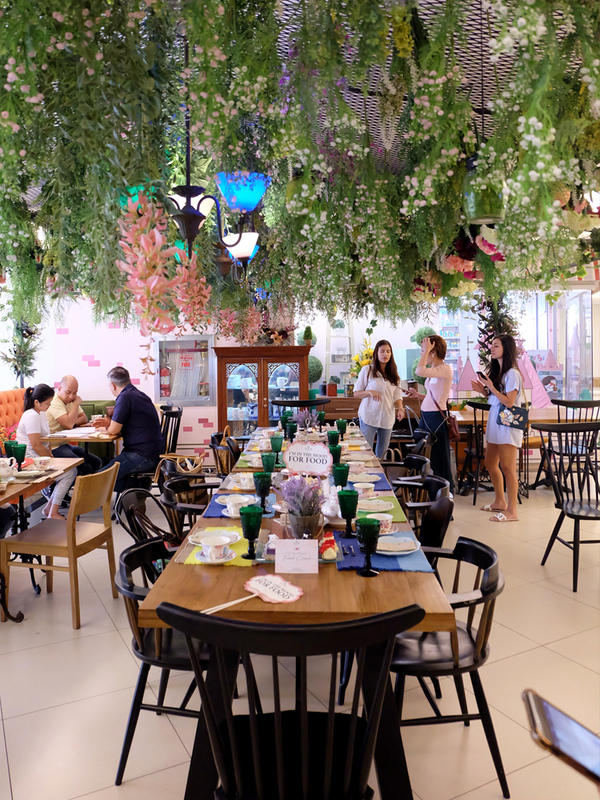 With the restaurant’s vibrant decor, Indochine elements and colorful details, we could already tell that we were in for a treat! 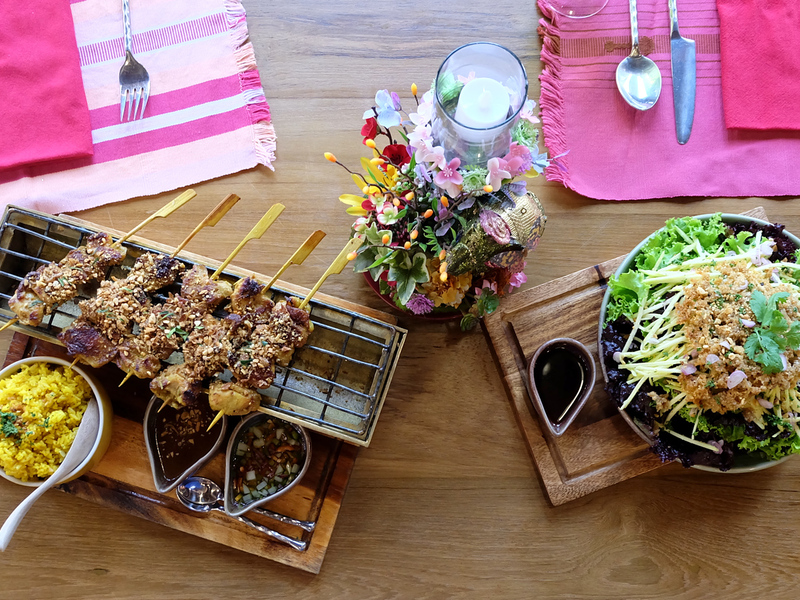 We were served Crispy Catfish Salad and freshly grilled Chicken Satay. 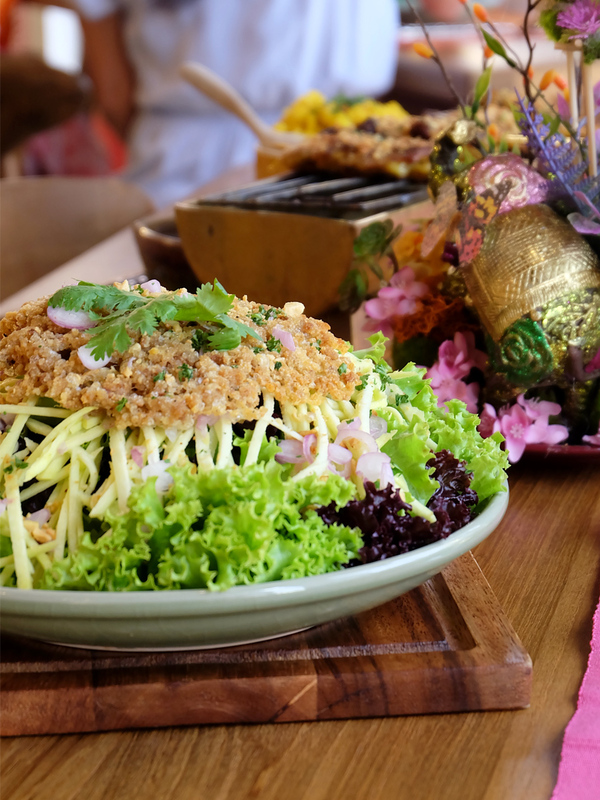 The catfish salad was fresh, crunchy, and tangy, with just the right amount of sweet, hot and sour dressing! Yum! The chicken satay, served on a mini charcoal grill, were really good! 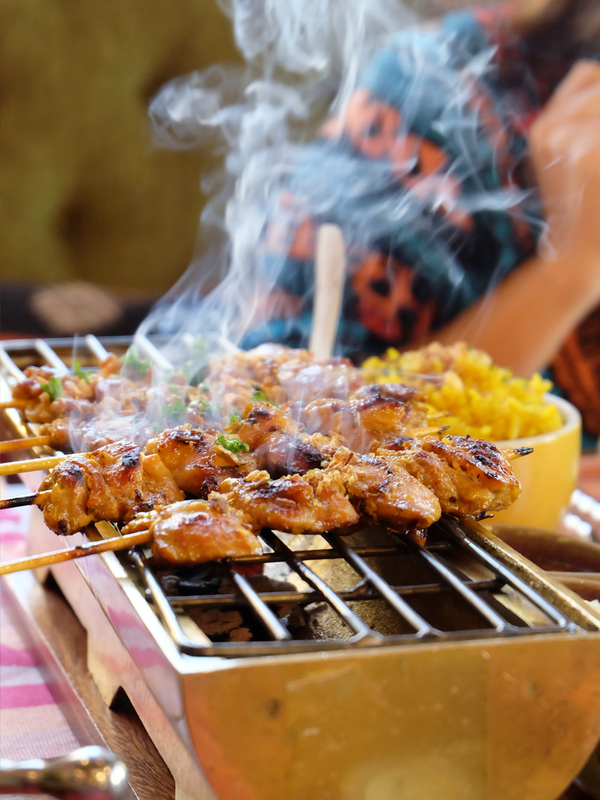 The skewers were grilled to perfection– moist and tender, with the skin crispy. Dipped in peanut sauce and enjoyed with a spoonful of turmeric rice and a bit of their homemade achar, every mouthful burst with so much flavor, my Indo-loving palate was dancing in delight! 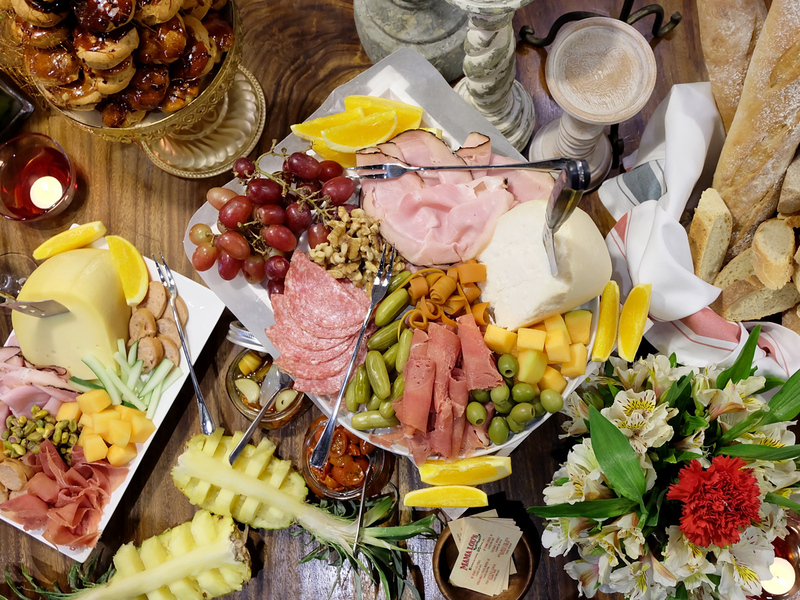 After our Asian appetizers, we walked over to Mama Lou’s where a lavish grazing table, filled to the brim with a fresh display of yummy mouthfuls, greeted us as we entered. I mean, just look at that! It was definitely a feast for the eyes and tummy! There were plenty of munchies to choose from. 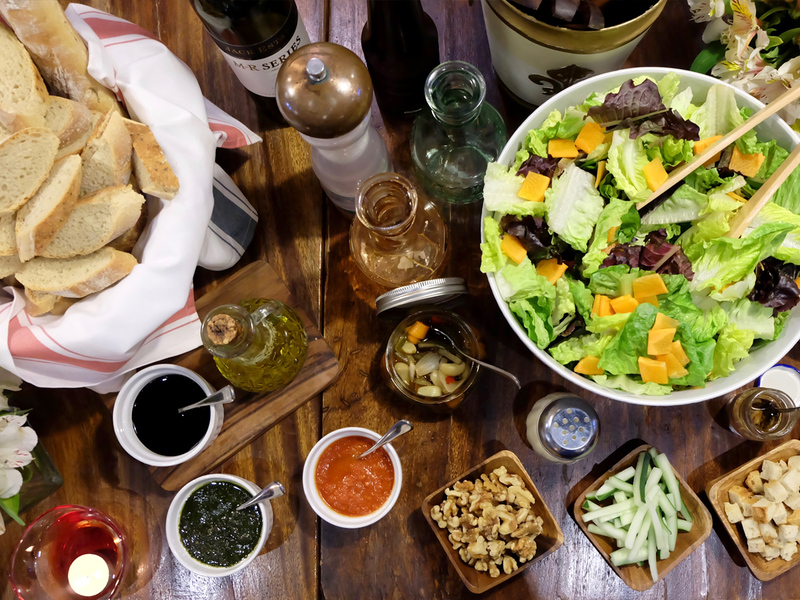 From the salad, the bread, the assortment of dips and spread, to the fine selection of cheese, cold cuts, fresh fruits, vegetable crudités, nuts, olives, chocolate and other garnishes. 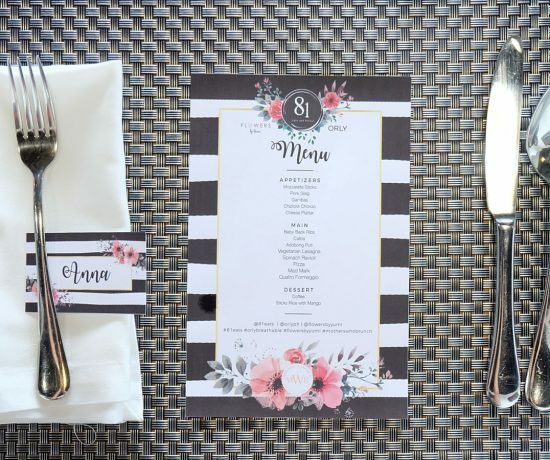 It was a spread, delectably styled, perfect for any celebration! 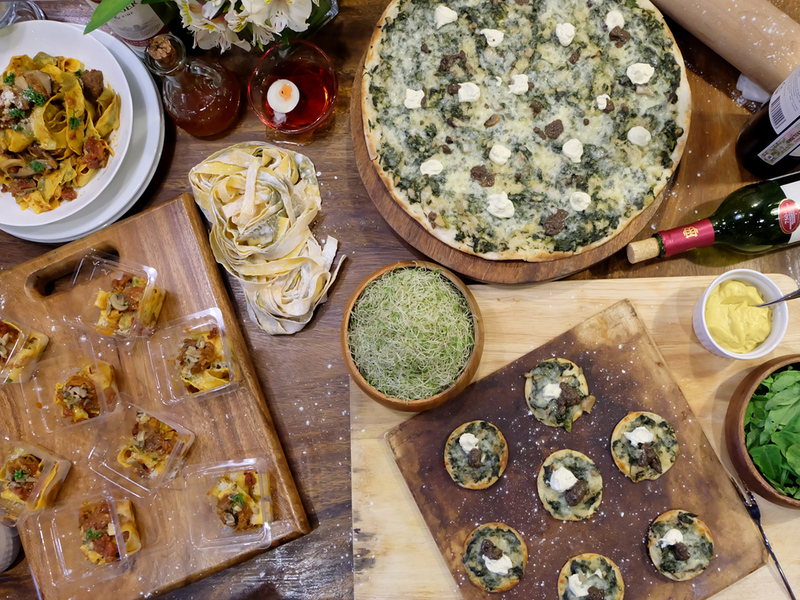 In addition to the tasty nibbles, we also got to try their Braised Short Ribs with Fresh Egg Yolk Pasta, and their Spinach and Honey Goat Cheese with Truffle Pizza (yum-oh!). Both are a must-try! I would have been contented staying and grazing my way to more servings, but we had five more restaurants to go, and before we knew it, it was time to head to our next stop. 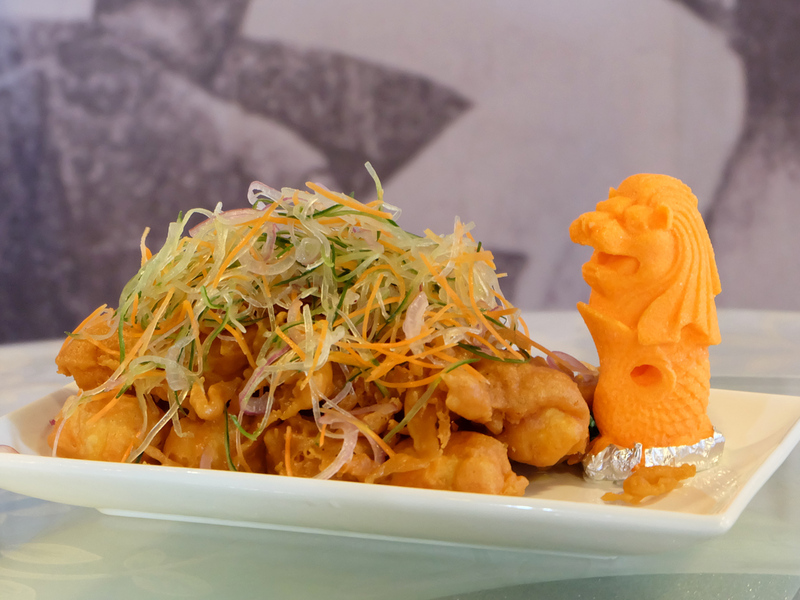 For our third stop, we trooped over to Merlion’s Cuisine for some authentic Singaporean cuisine. This spread was definitely a treat to my palate. 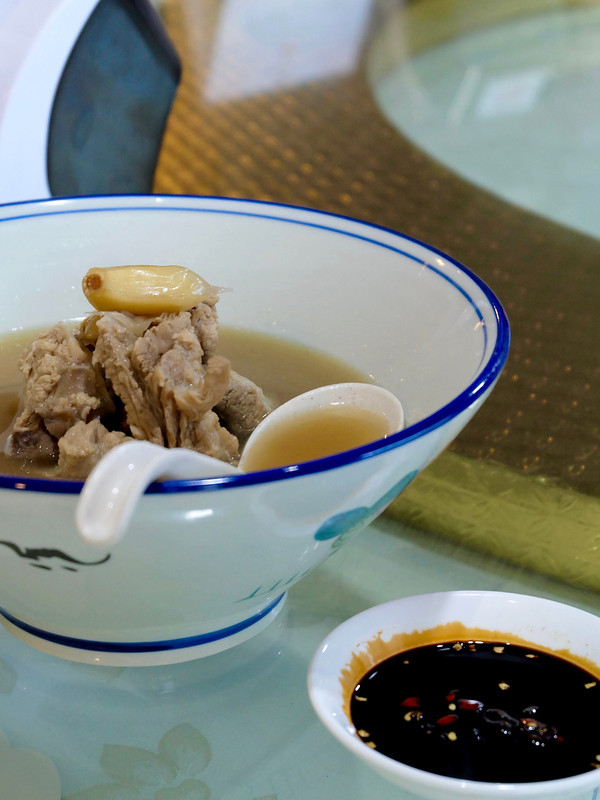 Having lived in Singapore for seven years, it is no surprise that Singaporean food is one of my ultimate comfort food. Although I only managed a few bites, the Fried Tofu, Char Siew and Roast Pork were all on point. 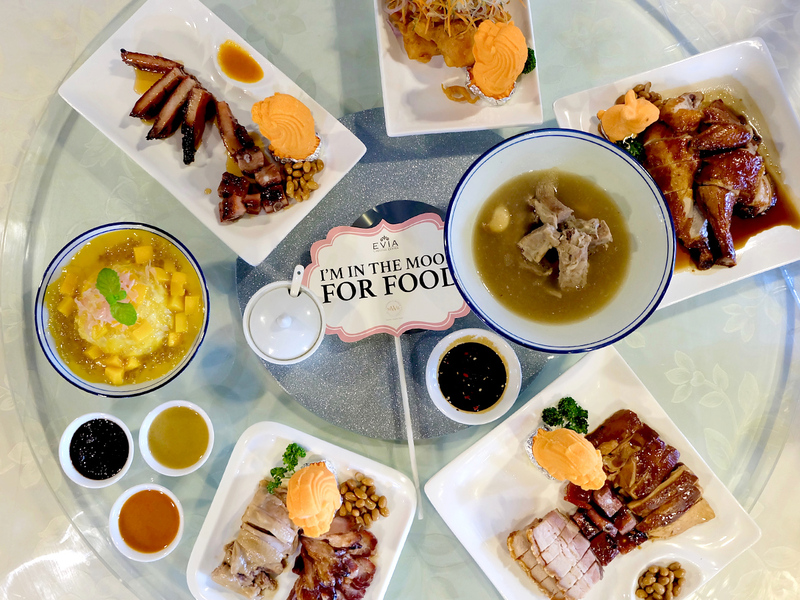 We were also served Hainanese Chicken, Roasted Chicken, Soya Sauce Chicken, BBQ Pork Ribs, Bak But Teh, and Mango Sago with Pomelo for dessert. 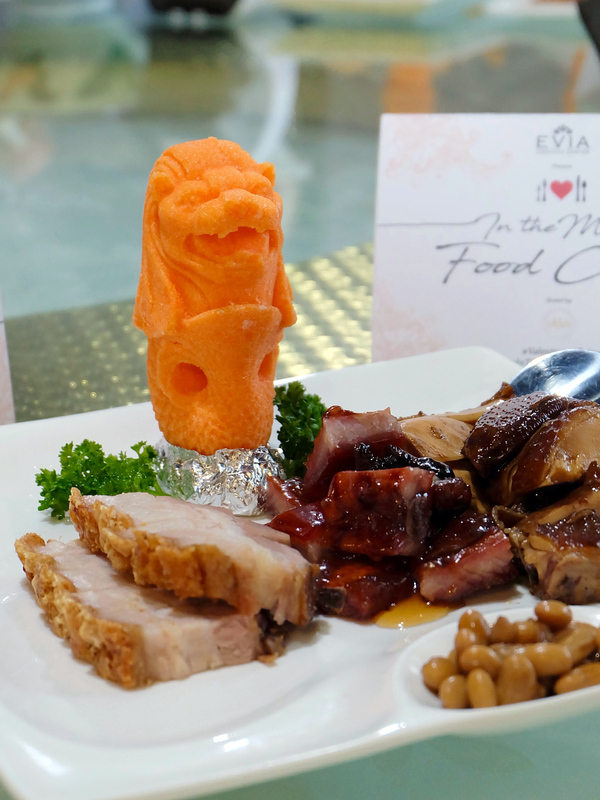 I get a craving for Singapore’s diverse array of flavors often, and I’m glad to know that I have Merlion’s Cuisine in the South within reach. I already vowed myself to go back soon, to try their laksa. 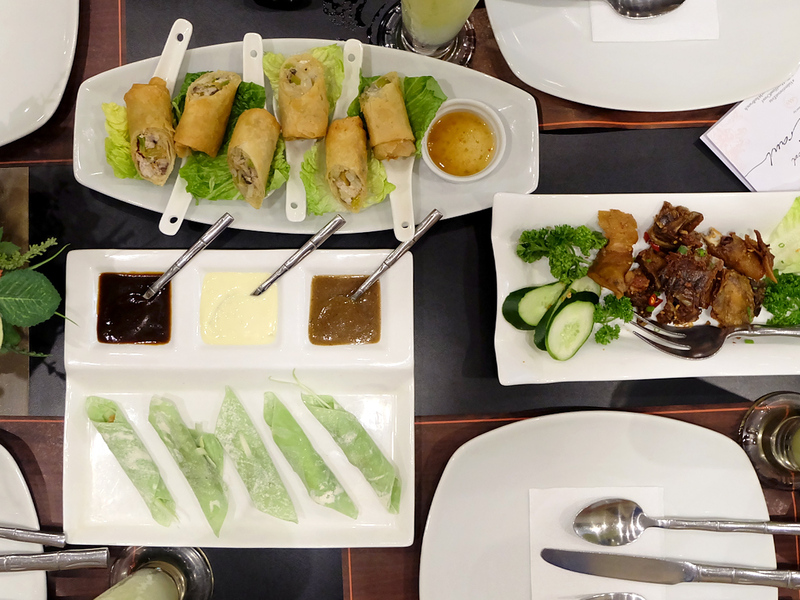 Our fourth stop was at Mesa, for some modern Filipino fare. 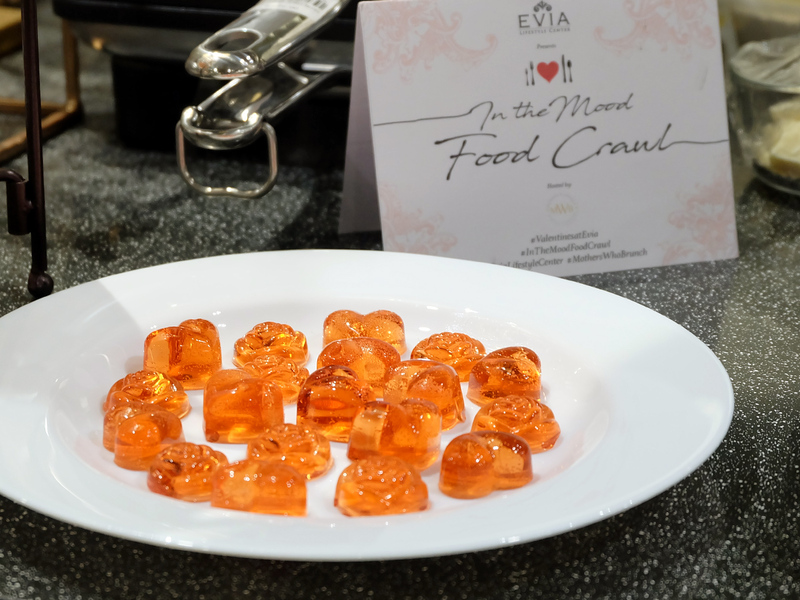 At the beginning of the food crawl, I was determined to only take a small bite from each establishment. I needed to pace myself to be able to make it through seven stops. Mesa made it pretty difficult to resist that extra serving, when they presented us their spread. 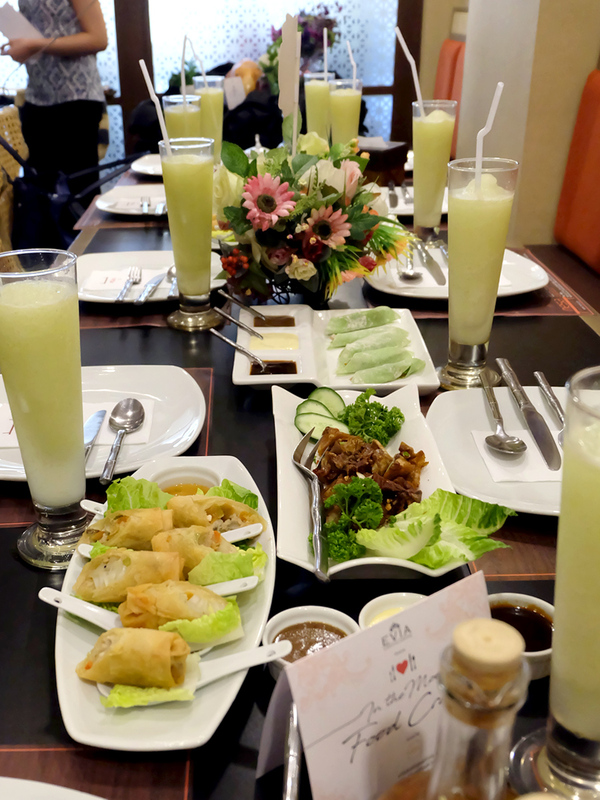 The main star of this food stop was definitely their signature Crispchon served two ways: tossed in chili garlic, and the other wrapped in their homemade malunggay crepe. 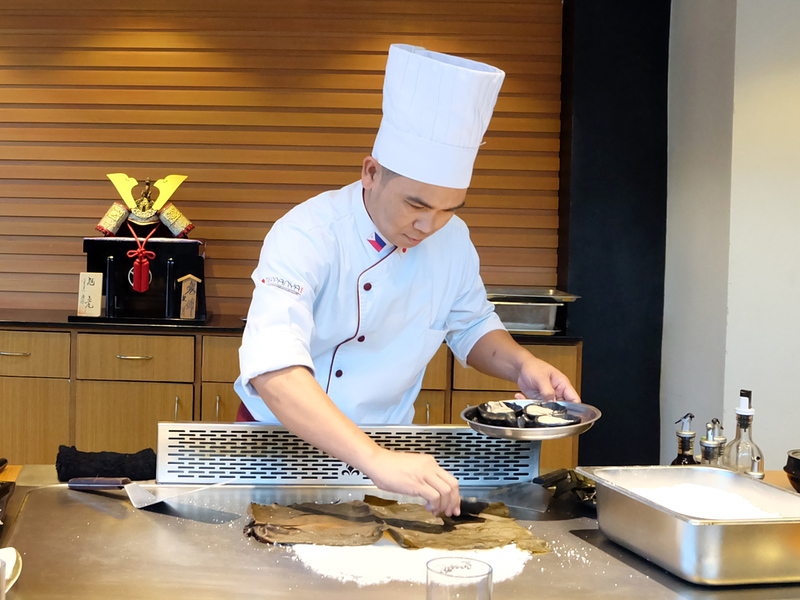 I quite liked mine wrapped in the crepe, much like how Peking duck is served. 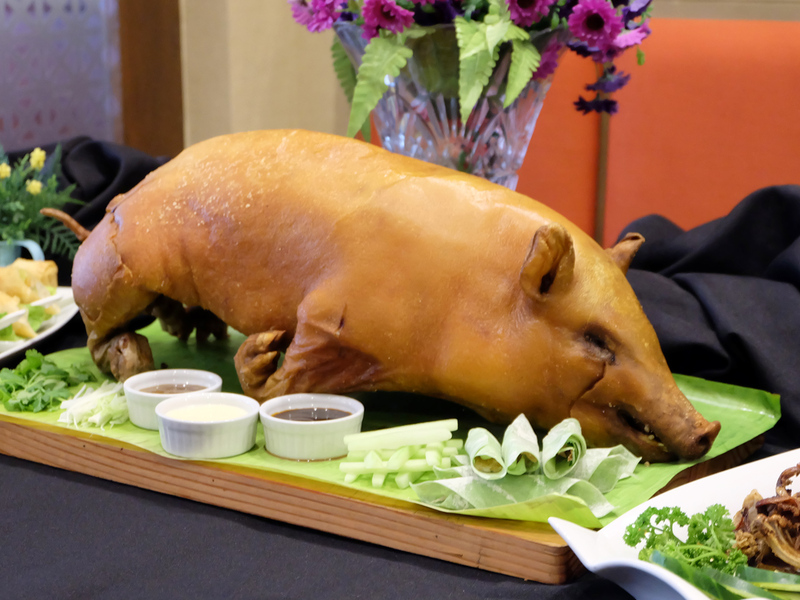 The crispy lechon was delectably sinful and paired perfectly well with soft texture of the wrap. 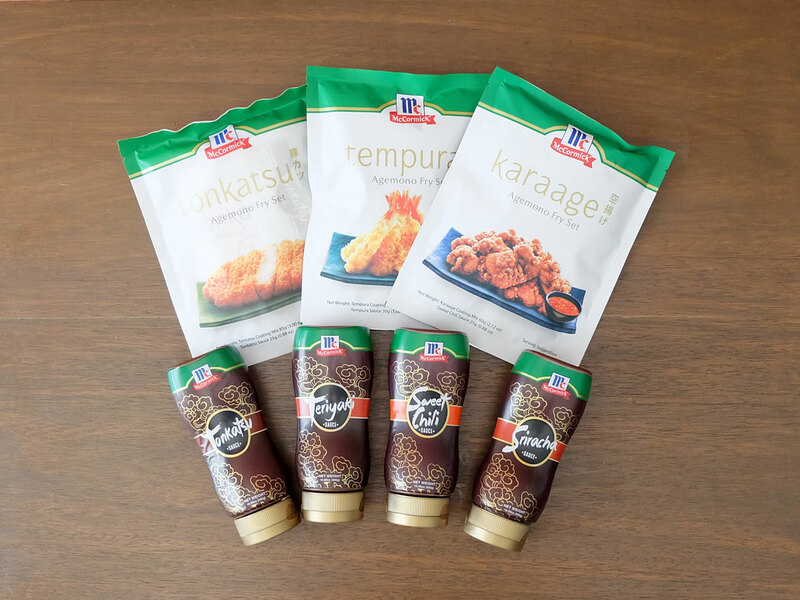 Dipped in my choice of garlic mayo, its explosion of flavors got me reaching for more! We also tried the Tinapa Rolls and Suahe On The Rocks, where they cooked live shrimps on a bed of hot rocks, right by your table. 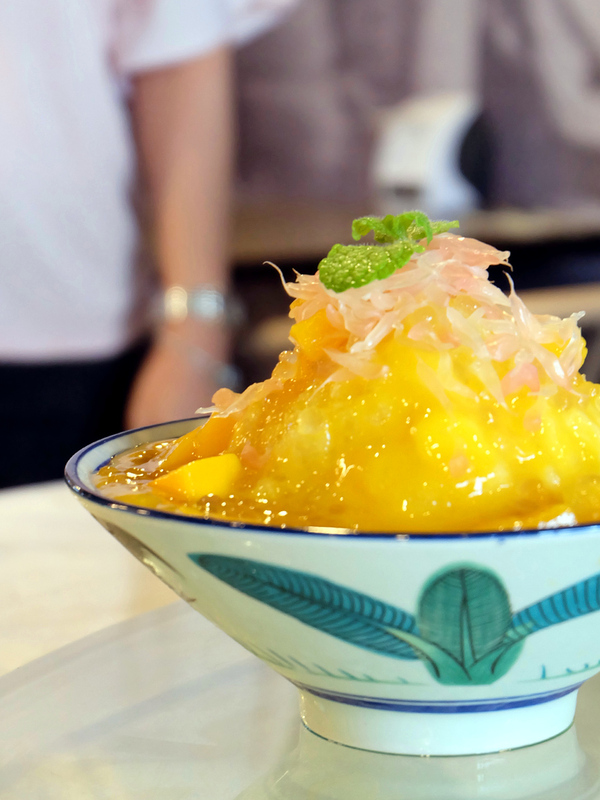 We sipped on Kamias Shake in between bites, and it made for the perfect palate cleanser. 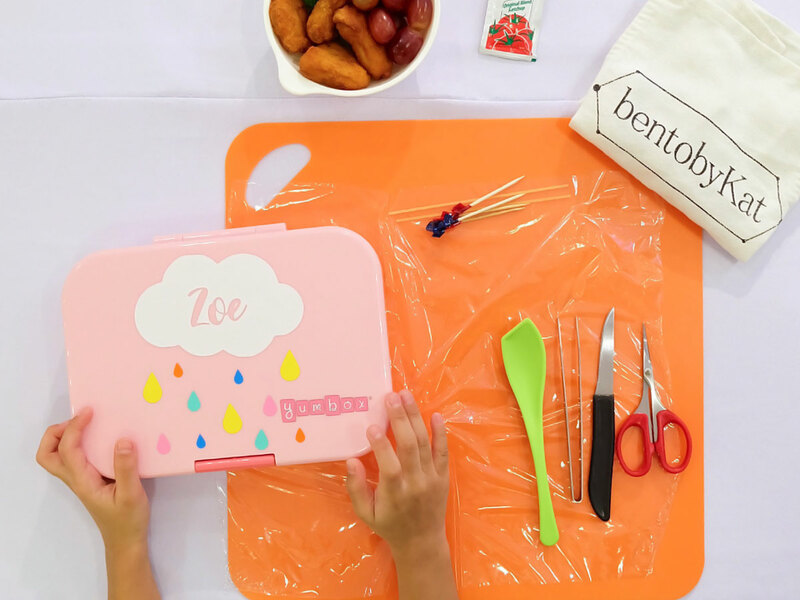 Light, refreshing, and not overly sweet, too! 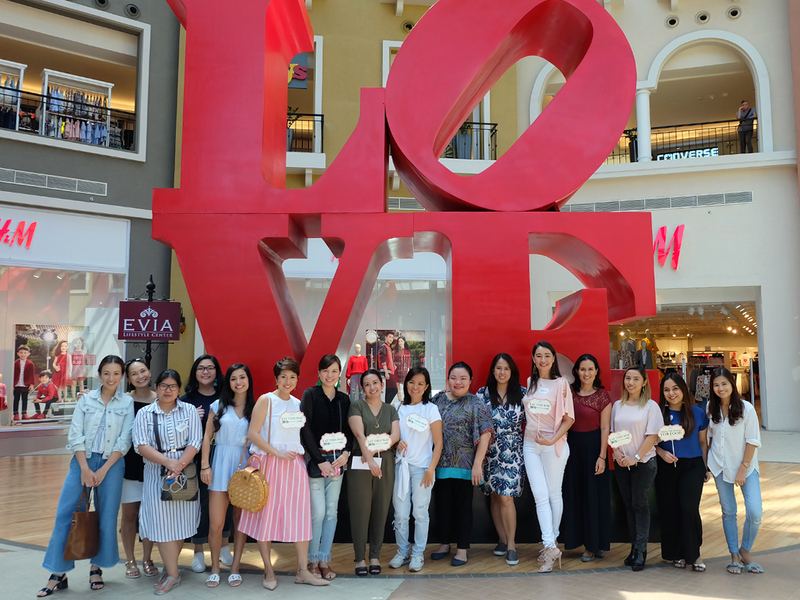 After four restaurants, you would think we were already done, but no, Mother’s Who Brunch and Evia Lifestyle Center were truly spoiling our bellies during the food crawl. Our fifth stop was at Another Story, where we tried two of their sumptuous dishes: Grilled Salmon, and Angus Prime Rib Eye Steak. I have to say that both were cooked to perfection and a must-try. 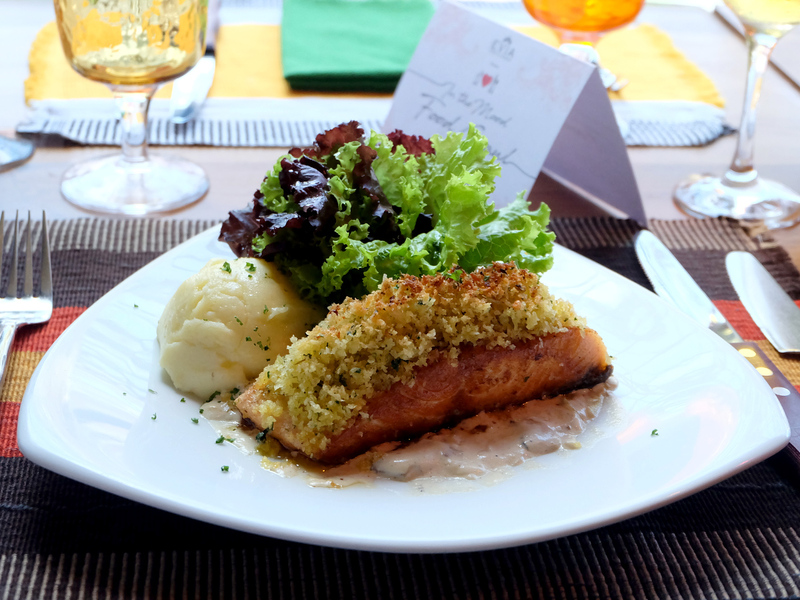 My salmon-loving six-year-old would go crazy over this herb-crusted dish! The bed of cream sauce worked perfectly well with the salmon. Paired with the creamy mashed potato? 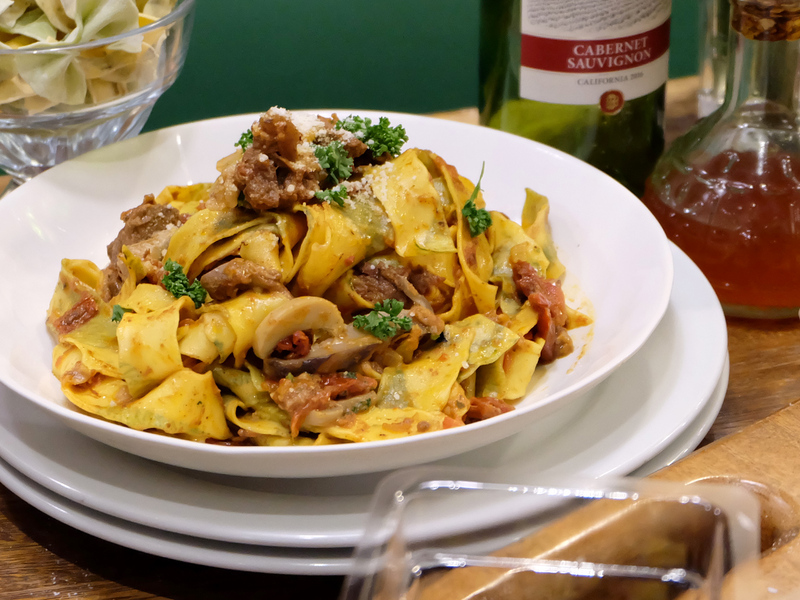 This comfort food is a winner! The serving of their steak is huge! 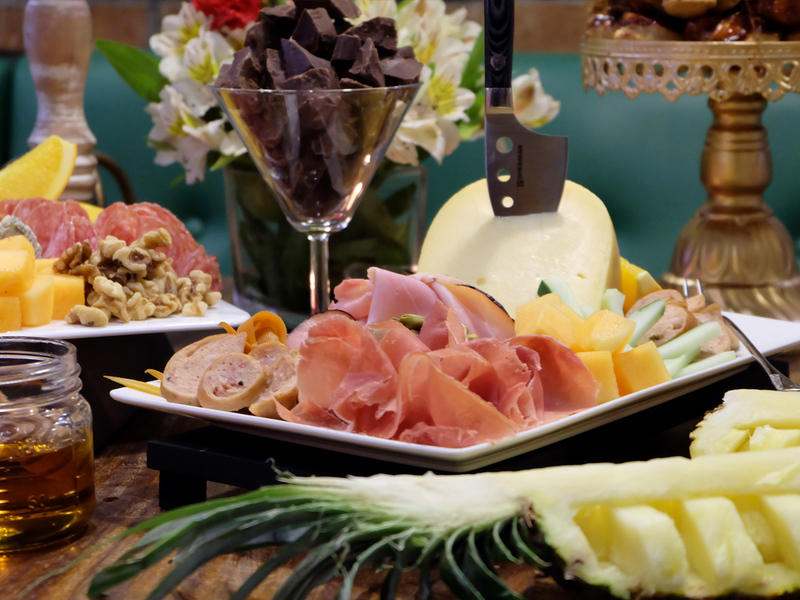 Perfect for sharing, really, but I’m sure my carnivore husband wouldn’t have trouble finishing an entire plate all by himself. 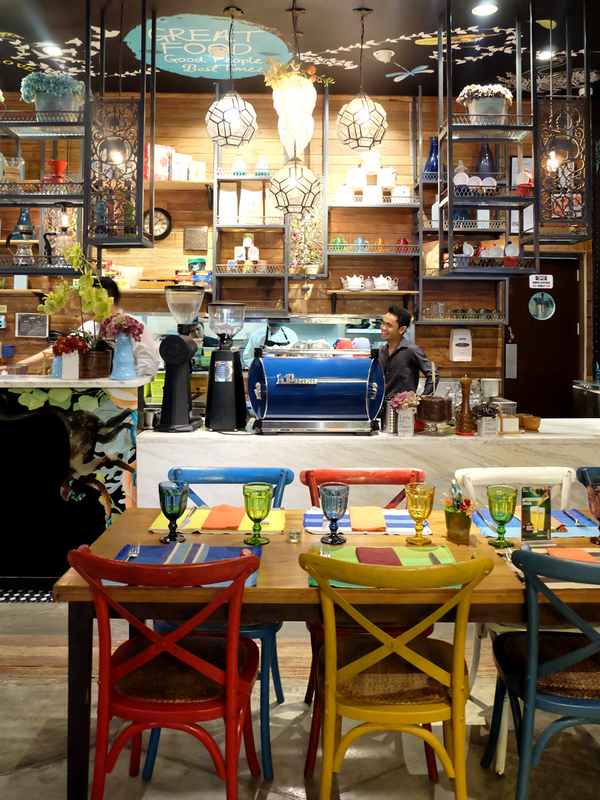 We ate our meal in a more relaxed pace, so we were able to admire and enjoy the restaurant’s beautifully-designed space, brimming with whimsy. Filled with an eclectic mix of decor and furniture pieces, each corner was oozing with charm. 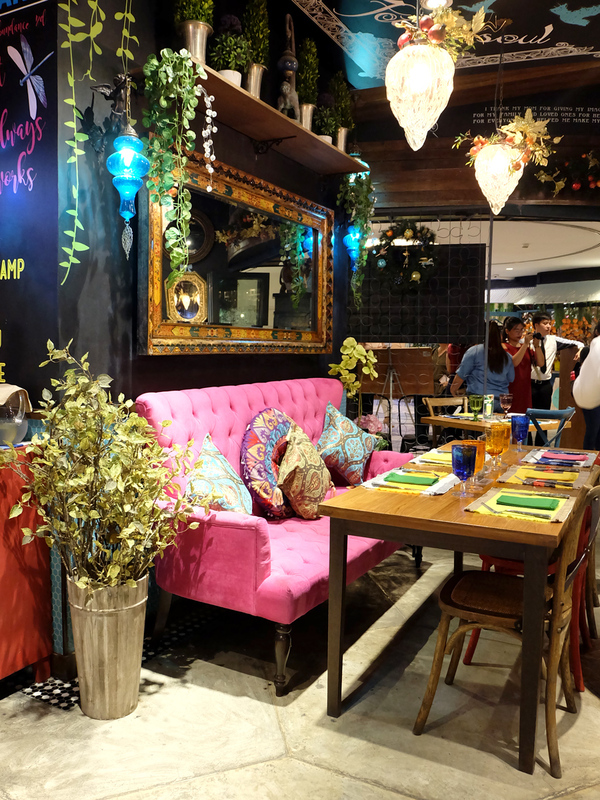 All the colors and quirky accessories make for a cozy spot for a date night or a relaxed meal with the family. Now what do you do when you are served steak one after the other? You sit back and enjoy both, of course! 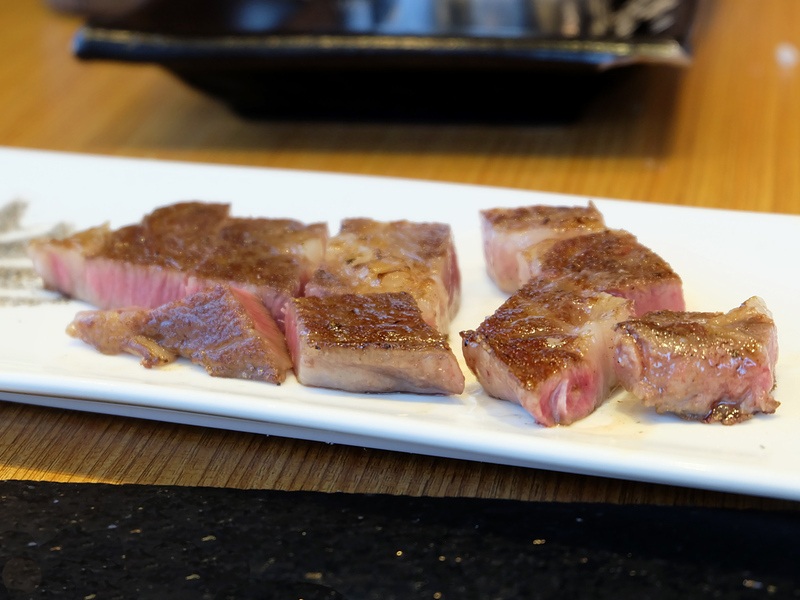 This A5 Wagyu Ribeye BMS 9 from Teppanya is as good as any wagyu can get with its superior marbling. 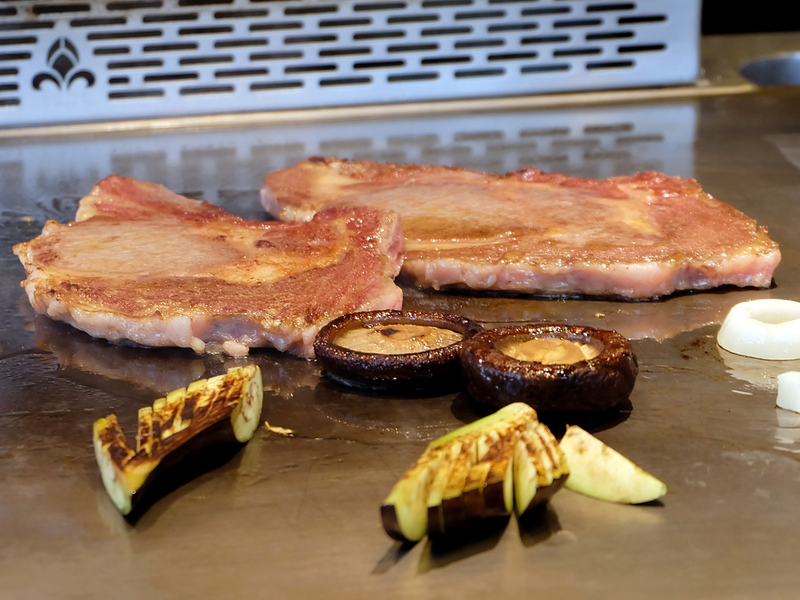 Prepared teppanyaki-style, no extra seasoning was added while it was being cooked medium rare right in front of us. 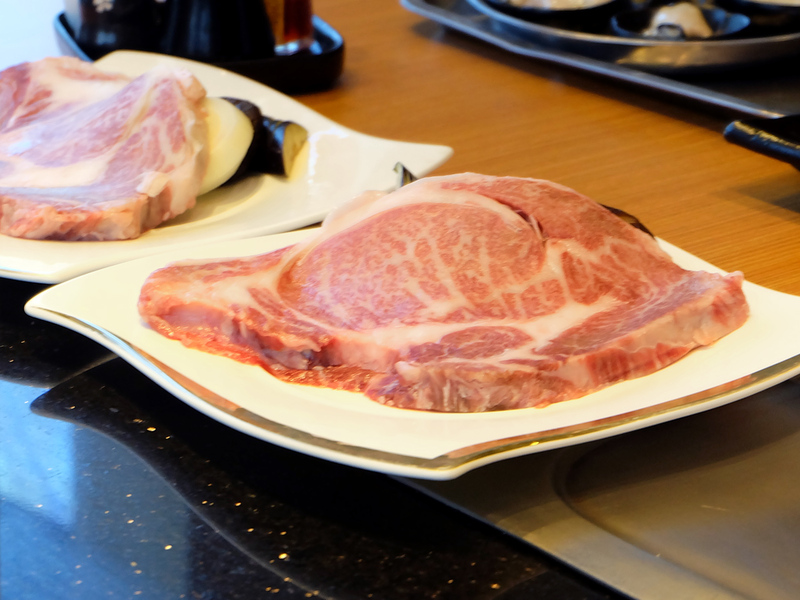 The result was a meat so tender and buttery soft, its melt-in your-mouth goodness made us forget that we had just grazed through 5 other cuisines. No, no! 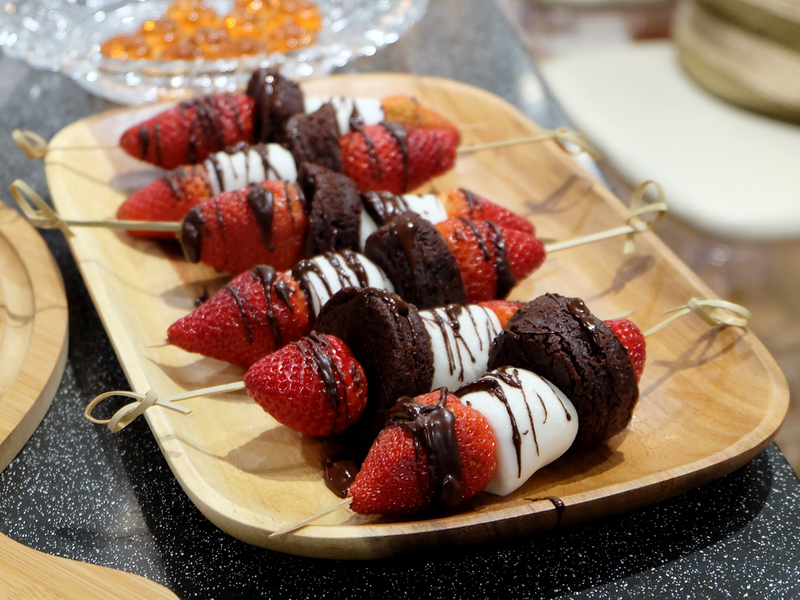 We didn’t mind savoring an extra bite of this. Or was it three for me? Probably even four! It was that good! 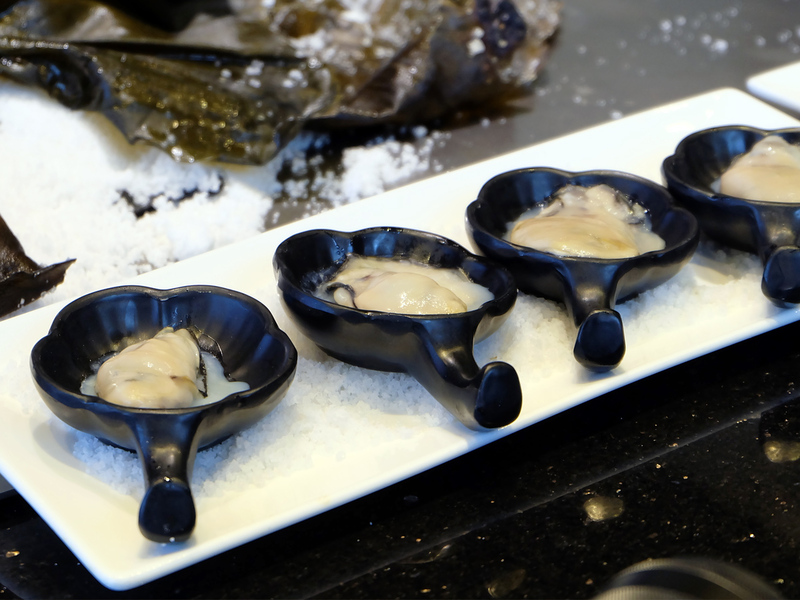 Perfectly paired with their Hokkaido Salt Crusted Oysters, too! After sampling six restaurants full of meat and other savory and belly-filling dishes, we finally settled down at The Cheesecake Fairy for our much-needed sweet fix. 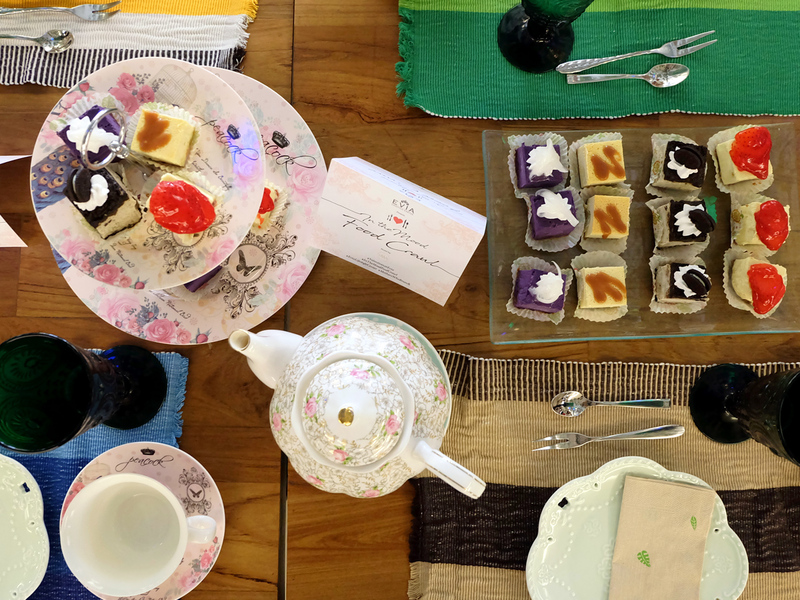 This fairy tale inspired dessert spot in Evia is a cheesecake lover’s haven. 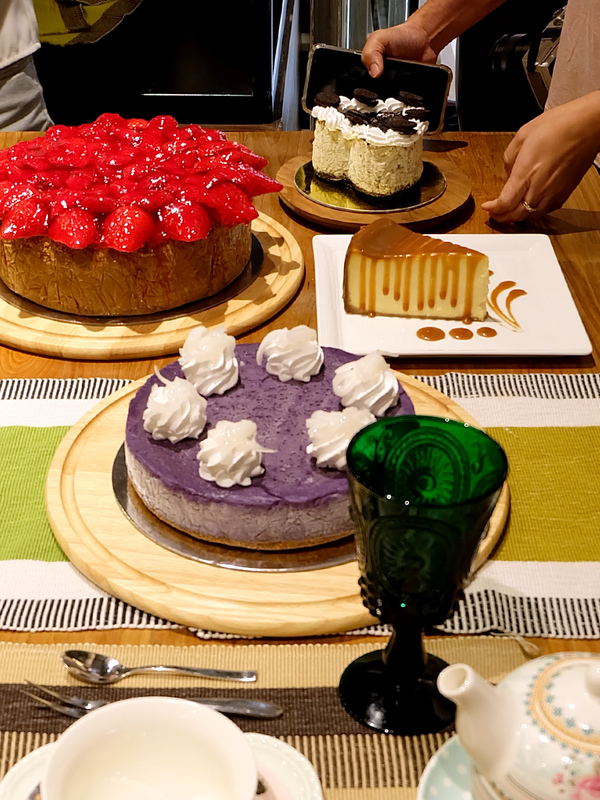 We got to try four of their bestselling cheesecakes: Strawberry, Oreo, Salted Caramel and Ube Macapuno. Of course I was swooning over the salted caramel cheesecake. No surprise there, because hello, cheesecake and caramel? Those are two of my favorite things! 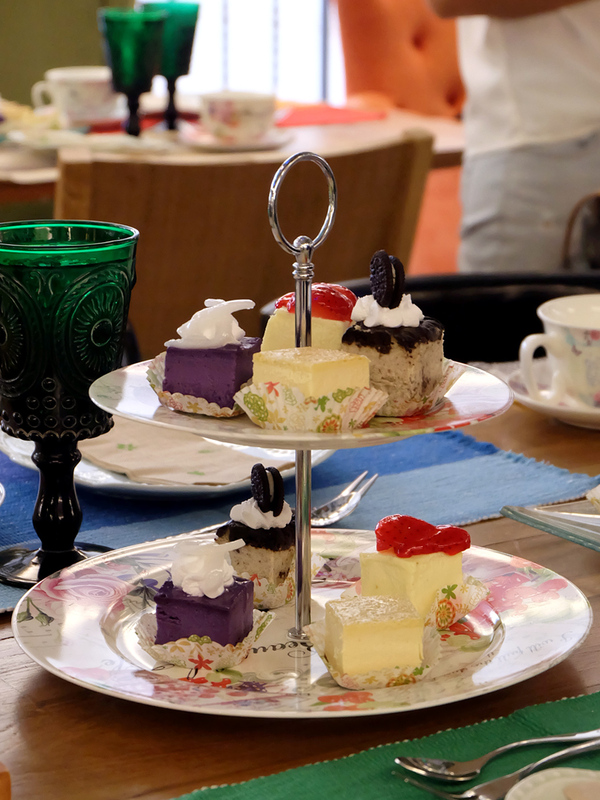 We took our time and enjoyed our little afternoon tea, while chitchatting and catching up with the mommies. So much laughter and inspiration from these beautiful women. These relaxed moments in mommy gatherings are what I really look forward to, as I get to unwind and share stories with like-minded women. It’s a great break from the daily mommy life, really. Now, I don’t really have to make a lengthy post about how pretty My Mother’s Cupboard is, because a quick flip through their Instagram page, and you’ll know what I’m talking about, but really, any mother would swoon over their gorgeous pieces! A tip to all husbands: bring your wife for some shopping at My Mother’s Cupboard, and you’ll win the husband-of-the-year award, for sure! Before heading back to our normal lives, Mish and Sab had one more treat in store for us. 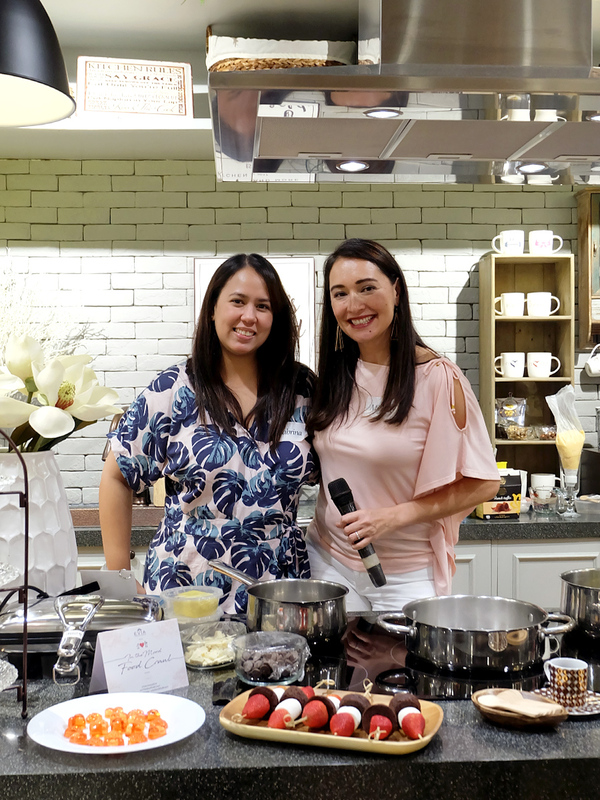 At My Mother’s Cupboard, they made a quick demo and shared some tips on how we could make quick dessert boards at home. 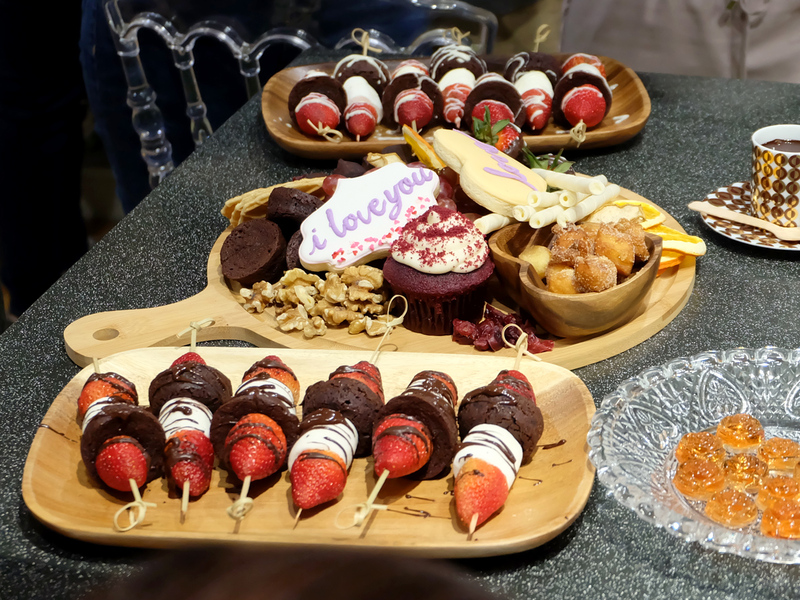 They shared recipes for Rosé Jellies and Churro Poppers with some Homemade Chocolate Sauce, and showed us how easy it is to make Skewered Strawberries and Brownie Bites, for a quick Valentine’s treat at home. What a sweet end to the food crawl! Thank you, Mish and Sab, for another wonderful time! 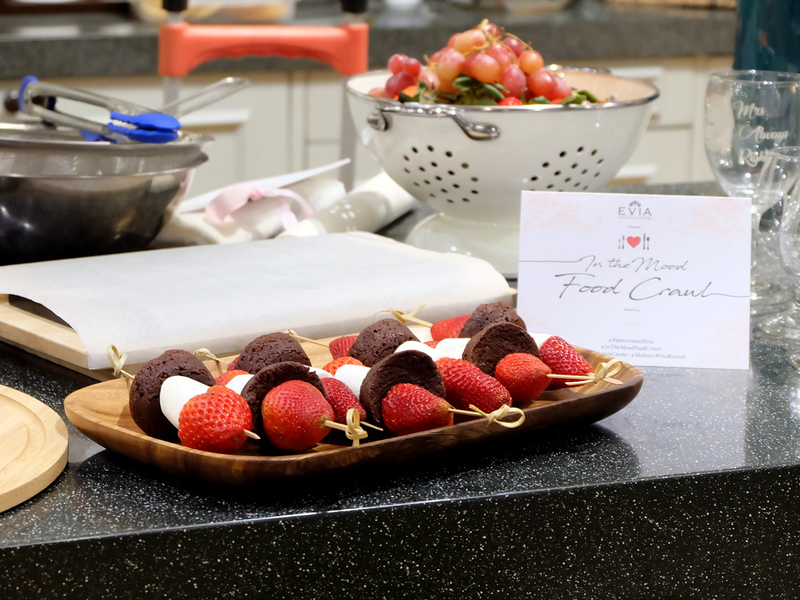 And thank you, Evia Lifestyle Center for allowing us to experience some of the best dishes in the South. I can’t wait to go back with my family, so they can try them, too! I love your photos Anna! 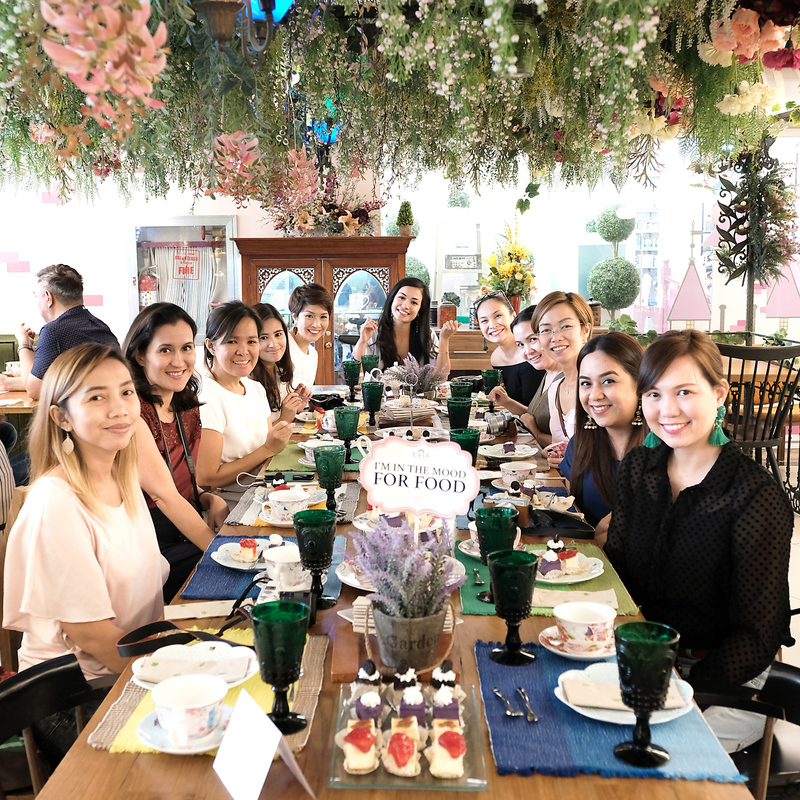 We’re classmates pala with The Mothers Who Brunch events! Also, nice seeing you and Zoe yesterday! My also have a niece, whom I miss so much named Zoe.